If you’re a parent who will be sending a five-year-old to kindergarten for the first time next September, it may seem like a long way off. But this is actually the time to start preparing. New parents often have questions about registration as well as how to help get their children ready for school. First and foremost, you must register your child with your school district. While many districts have “official” kindergarten registration periods this month, you may register your child at any time. Actually, the sooner you register your child, the better. Schools use registration information to plan for the following school year, to budget, and to estimate how many kindergarten classes, teachers, supplies and equipment they will need. It’s also critically important if your child has special needs. You want to ensure that he/she is tested and evaluated early in order to get the appropriate help and services. Call your district first to find out if there are specific registration hours and what documents you will need to bring with you, such as a birth certificate, proofs of residency, and immunization record. The average age of kindergarten entrants continues to rise, with 37 states now requiring that children be five when they enter kindergarten. The fact that school districts around the country differ widely in their cut-off dates for students entering kindergarten is a source of confusion for parents. Deadlines vary in different districts; so make sure you know what the date is in your community. Parents of incoming kindergarten students may wonder whether teachers expect them to come prepared with certain skills. While teachers are pleased when children enter kindergarten knowing letters and numbers, they do not want you to drill them. Kindergarten teachers look for their students to have readiness skills; these are the building blocks that will enable your child to love learning and to succeed in school. You can prepare your child with readiness skills through daily activities. Spark your child’s curiosity and vocabulary by discussing and naming observations, objects, and experiences. Activities, such as visits to the beach, park, beach, children’s museum, or zoo, present many opportunities for you to help your child develop language skills. It goes without saying that reading to your youngster will also help him/her learn new words and ideas. Use new words in your conversation in a context your child understands. Kindergarten teachers will be pleased if your child has the ability to listen. 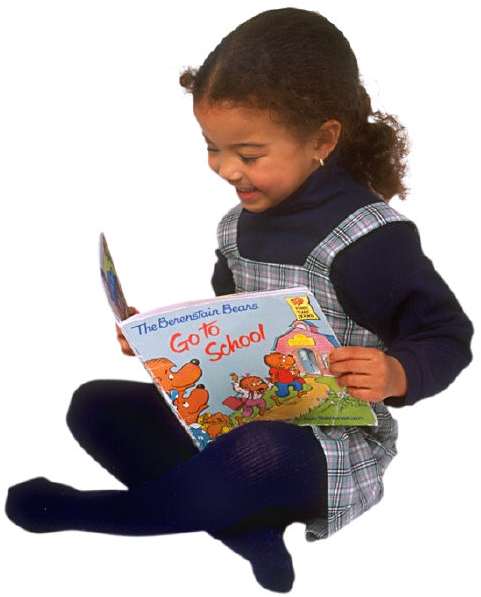 Read to your child every day and ask questions about the book. Besides nurturing vocabulary and comprehension, reading develops the listening skills necessary in a kindergarten classroom. Students must listen to concentrate on what the teacher is saying, to be able to follow directions, and to learn. Singing also fosters listening skills and will help develop reading readiness. Encouraging your youngster to take care of him/herself is good preparation for kindergarten. For example, although it’s easier to hang up your child’s coat yourself, the kindergarten teacher will want students to do it themselves. She cannot take off the boots and hang up the coats of 25 students. Pre-school usually helps children master these skills. Kindergarten is about socialization, so help your child get ready by encouraging him/her to share, take turns, and understand the rights, space, and feelings of others. It’s important for kindergarten students to have good eye-hand coordination. Many kindergarten activities involve coloring, cutting, pasting, and writing with a pencil. Playing with clay or Play-Doh, writing, coloring, painting, pasting, and stringing beads are examples of activities that will get your child ready for kindergarten. These activities, along with counting and recognizing shapes and colors, are usually well covered in pre-school. But you can enhance your child’s knowledge by also providing these opportunities at home. You can help make the transition into kindergarten a fun and seamless one by incorporating readiness activities into your child’s daily routine.